The long-awaited Gun Digest Book of the AK & SKS, Volume 2 brings timeless Soviet-era gun designs full circle into the modern era. 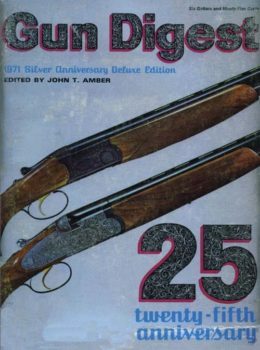 Deftly written by master gunsmith Patrick Sweeney, the resource is a must-have for any serious shooter of Soviet firearms. And it is the top guide for anyone seeking full-spectrum knowledge of the ubiquitous Russian guns and how to upgrade and modernize them for today’s American-style tactical shooting. 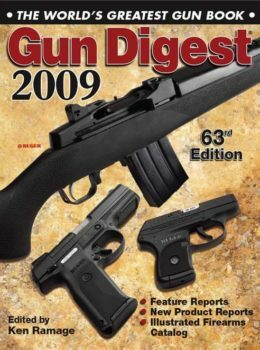 Categories: AK, Gun Digest Publications SKU:: R1978 Availability: 183 in stock	Format:Paperback ISBN: 9781440247194. Americanizing and Perfecting Russian Battle Guns! Exploring the history of the AK-47, AK-74 and SKS, Sweeney gives an intimate knowledge of the development of the Reds’ rough-and-ready rifles. The book is more than a look at these enduring tactical firearm designs and operation. Sweeney puts on his gunsmith hat, delving into the guts of the elegantly simple platforms, awarding readers with a muzzle-to-buttstock understanding of Kalashnikov and Simonov’s gems. Whether simple maintenance of the firearms or building a rifle from scratch, Sweeney takes his audience step-by-step through the processes. In the end, readers are rewarded with the technical skills to do everything from upgrade a trigger on an SKS to build an AK from the ground up via a parts kit. Sweeney also arms fans of the Russian rifles with the expertise to cut through the white noise of today’s firearms and accessories marketplace. The author reviews the hottest new models, including the Century Arms C39V2, Krebs Custom K-AC15 Mod 2 Long UFM and IWI ACE. And he catalogs the top upgrades available for the AK and SKS, making them run like thoroughbreds. Learn from the best and get the most out of your AK-47, AK-74 or SKS with Gun Digest Book of the AK & SKS, Volume 2.